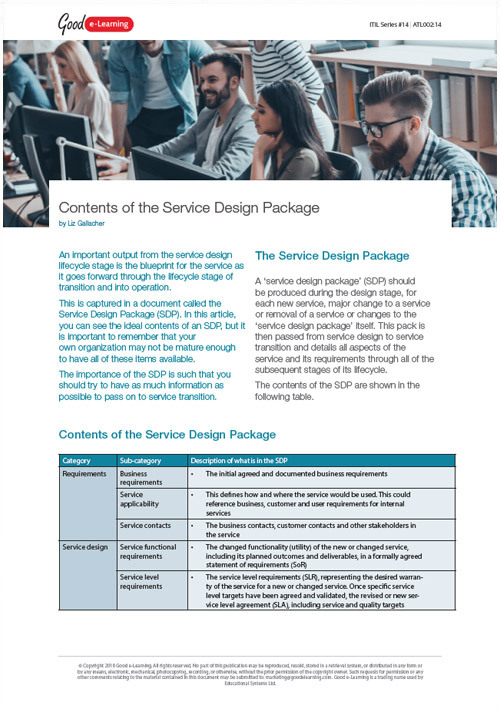 In this article, we explain what should be included in the ITIL Service Design package (SDP) as well as showing you the ideal contents of an SDP. It is important to remember that your own organization may not be mature enough to have all of these items available. This article is particularly suitable for students studying Service Design and Service Transitionn or Release, Control and Validation.